I know many of you are in the process of collecting recipes and making decisions about how you will prepare meals during the Daniel Fast. Actually, that’s why I wrote The Daniel Fast Cookbook. But even with the cookbook, there will be times when you prepare other recipes. You will need to decide what it “okay” on the Daniel Fast and what isn’t. So I wanted to write a few keys to help you as you make your decisions. You will probably need to cook a vast majority of your meals “from scratch.” That’s because so many of the prepared foods include sugar and chemicals, which are both no-no’s on the Daniel Fast. READ THE LABELS. You will likely be amazed, and maybe even a bit discouraged, as you try to find prepared foods that are sugar-free and chemical-free. And this is why in point #1 I said you will likely prepare most of your meals from scratch. But make sure you read the labels. Use frozen vegetables. Obviously, you will increase your use of vegetables on the Daniel Fast. The good news is that the vegetables found in the frozen food cases are usually totally free from any chemicals and they are more nutritious than most vegetables found in the produce section (that’s because fruits and vegetables lose their vitamins and minerals the longer they are separated from their vine or branch – wow, there’s a spiritual truth in that statement – and when the foods are flash frozen within only a few hours from harvesting, they retain more of their food value). Frozen fruits and vegetables are also “ready to go.” They are washed, trimmed, sliced and diced and ready for you to do your creative work on them to make them even better! Generally, if a food is a fruit or vegetable and free from sugar or chemicals, it is okay for the Daniel Fast. Make sure you review the Daniel Fast Food List and then make a call. Beans, rice and tofu are great sources of protein. The Daniel Fast is a great time to find new recipes that may become family favorites. There are millions of people in the world who eat foods consistent with the Daniel Fast as their core diet. Look for Asian, Latin, and East Indian recipes and you will find many are appropriate for the Daniel Fast with just a few variations. I accidentally ate of bowl red beans and white rice. I thought the rice was whole grains brown rice. Did I break the fast? Do I continue? Do start over and finish the last six days. Please help me! The main thing is to check the ingredients in the tofurky. If they are consistent with the Daniel Fast then you are okay to give it a try. The main ingredients to keep an eye out for are types of sweeteners, addditives, yeast and egg whites. Be blessed on your Daniel Fast! Can we eat tofurky on the Daniels fast? God is calling His church to health . . . and the Daniel Fast is an excellent “jump start” to a lifestyle of health! Be blessed as you support your husband! If your frequent trips to the bathroom are to urinate then yes this is normal, especially if drinking your daily required amount of water is new to your system. However, the amount of water you drink should be proportionate to your body’s’ size. As a general rule you need to be drinking half your body weight in ounces ie., 180 lbs = 90 ounces of water per day. Since you’ve been drinking a gallon of water daily, you may be drinking more than your body can use. With that said, if this is your situation make sure you are eating enough whole grains and balancing that with fruits/vegetables( and of course drinking the correct amount of water). Milk: All “plant based” milks (almond, rice, soy, coconut, etc.) that are free of sweeteners and additives are allowed for use in recipes and on cereal. Just not as a beverage, water is the only drinking beverage allowed on the fast. Cereals: Some prepared Cereals are allowed, it’s all about the Ingredients. Here some ideas for you: Muesli, some varieties of Ezekiel brand and some varieties of Shredded Wheat, ex: http://www.arrowheadmills.com/product/shredded-wheat-cereal There are also several other Daniel fast friendly cereals found in the Natural Foods section of grocery stores or at Health Food stores but you’ll have to read some Ingredients labels. And then always good Old Fashioned Oatmeal. Be Blessed! All nuts are allowed as long as there are no additives or sweeteners in them. Be cautious on the trail mix, make sure to read the Ingredients list for any added sweeteners or additives. Be Blessed! My church is starting the daniel fast march 4th, and I’m excited. It wont be hard for me because I was a vegetarian for a year. The only thing I might struggle with is the no sweets and no coffee but there are allot of good recipes i have used to remedy that. For the ones that are new to the fast my God bless you and keep you and my he make his face shine upon you. Let me clarify this better! Yes, dates cooked with water and cinnamon are fine, if you are making it as a side dish. However, (and this is where my thoughts went when I originally answered this)…this would not be fine if making it into a “date honey” to use as a sweetener on other foods. Be Blessed! No this didn’t help. On one hand you say ok, dried fruits are acceptable. This includes dates. You are telling this person no. Is it the form they are in? I am having a hard time seeing any difference. Yes you can take daily supplements, although we encourage you to find supplements that are free of sweeteners or man-made chemicals. As for the fish oil, you should find a plant-based supplement that would meet the needs filled by the fish oil, flaxseed oil is a good alternative. I hope this helps! Can I take vitamins while fasting? The vitamins include B-12, biotin, and fish oil. Hi and Praise the Lord to everyone!! My name is Tonya and my husband and I and a few others will be going on the Daniel Fast May 1st. I am very excited and we are looking forward to what God will be doing on this endeavor. We are putting aside a time everyday that we will be praying corporately and as one body. I am sure I will be asking questions as I go along. I am so glad this site is here and God Bless the Daniel Fast Team!! Let me just say that I am proud of you! And you are going in the right direction just simply by not giving up, you are fighting to bring your flesh into submission! The Daniel Fast is a very healthy way to eat, the length of the fast varies from 7–50 days. Afterward, if one chooses to keep this eating plan as a lifestyle and many do, there are suggested slight modifications to the eating plan such as adding in occasional fish and chicken. The Daniel Fast is an experience for the whole person – body, soul and spirit. Many people experience vastly improved health during their Daniel Fast since this is such a healthy way to eat. The definition of fasting is to restrict food for a spiritual purpose. Using the Daniel Fast eating plan for strictly health purposes would be a Daniel Diet rather than a fast. And many people do use the Daniel Fast eating plan to improve their health and for weight loss. With that said, yes the Daniel Fast can help you with being over weight. This is where the Daniel Fast can help, by getting your focus off of weight loss and onto your higher calling in Christ, Who you are in Him and in the process learning how to treat your body as the temple of the Holy Spirit with temple worthy Foods and temple worthy Exercise. I encourage you to go to http://www.daniel-fast.com and request a copy of the Meal Planning Sheet and a copy the Daniel Fast Guidelines, they will be emailed back to you. Look them over and formulate a plan of action that will break off those old habits and put into play some new good ones. And, stay plugged in with us at both of these sites, the Daniel Fast site and this site has all the resources you’ll need for a successful fast and life changing encouragement to keep you going forward. 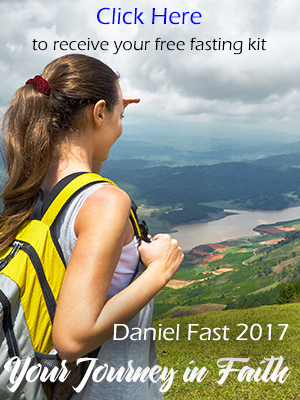 Also, check out this site: http://www.DanielFastResearch.com which is amazing with the clinical research that has been done on the Daniel Fast. Richard Bloomer is wonderful man of God who is also a researcher from the University of Memphis. The results of his clinical studies are impressive. We also have a ministry to help people develop a lifestyle of health http://www.Choose-Life-Now.com Many of the members are obese . . . the program is all about submitting our bodies to Christ as part of our spiritual worship (Romans 12:1-2). Many members start with the Daniel fast and then join Choose Life Now. The results are powerful. I hope this helps, Be Blessed in your Journey! Yes, vegetable oil in a whole grain couscous is fine. can we eat veggetable oil in couscous? You are correct, no meatballs. But the spaghetti squash is fine as long as the rest of the Ingredients also comply. I hope this helps! Instead of whole wheat pasta my mom would use Spaghetti squash, and meatballs. Is the spaghetti squash acceptable on the daniel fast? Obviously not the meatballs.